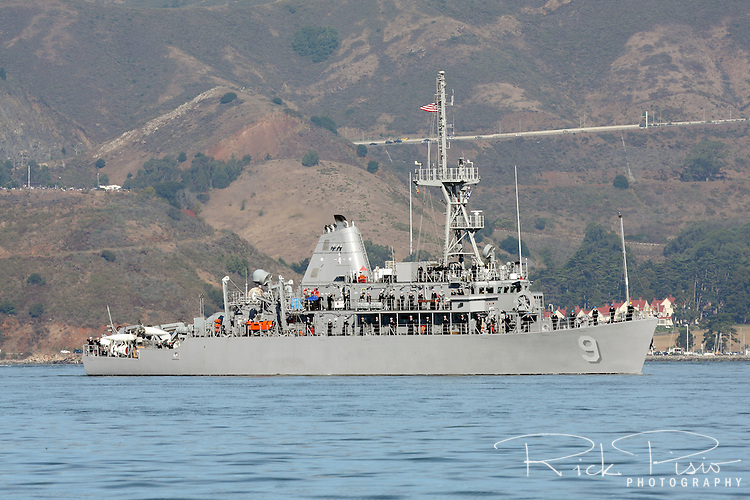 Mine Countermeasure ship USS Pioneer (MCM 9) on San Francisco Bay. The Pioneer was participating the in the Parade Of Ships as part of San Francisco's 2010 Fleet Week activities. The USS Pioneer is the ninth Avenger class Mine Countermeasures Ship, the second ship in the Navy to bear the name, and is currently part of the Naval Reserve Force.